Lithuania is a beautiful country with lots of nature and a cool urban capital. The Gothic, Renaissance and baroque architecture is stunning, while the Old Town in Vilnius is charming. One of the most unusual homes you’ll ever come across, local man Edmundas Vaiciulis began to decorate his home with metal objects in the 1990’s. Now, it’s covered in pots and pans and. See more info about this quirky house here. The Gate of Dawn is a city gate in Vilnius that was built between 1503 and 1522. It is the last remaining city gate in the capital which was once surrounded by a high wall. One of the most visited shrines to the Virgin Madonna, this is a very pretty place to get a Lithuanian Instagram photo. At first glance, Vilnius may not look like the type of place that’s full of eye-catching street art, but there’s some amazing pieces here. Make sure to see the famous Donald Trump and Vladimir Putin mural. See more info about Vilnius street art here. For the best view of those Instagrammable red-roofed buildings in Vilnius, climb the 193 authentic wooden stairs in St John’s Church. It’s the highest building in the Old Town and has a panoramic view over the whole city. FYI, you can only climb to the top from May-September. 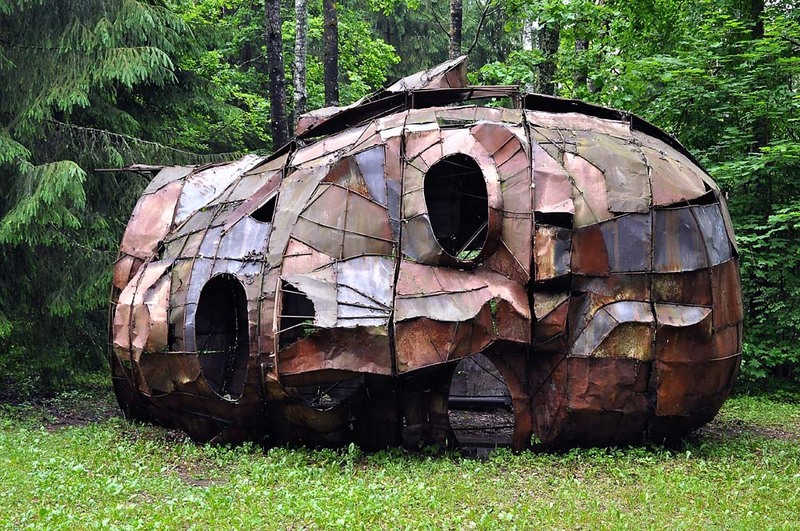 Located 17 km from Vilnius, Europos Parkas is an open-air sculpture museum set in scenic woodlands. It includes large scale works by famous contemporary artists such as Abakanowicz, Oppenheim, LeWitt and Pepper. A colourful addition to your Lithuanian Instagram album. There’s also an LED light show that will bring you on a mysterious trip through Vilnius’ history. This “little house going up the hill” is used as a quick way to get to the Basilica of the Resurrection from the city of Kaunas. The bright yellow cable cars are a cute way to reach the top of the hill, and the funicular has been bringing locals and tourists up and down since 1931.